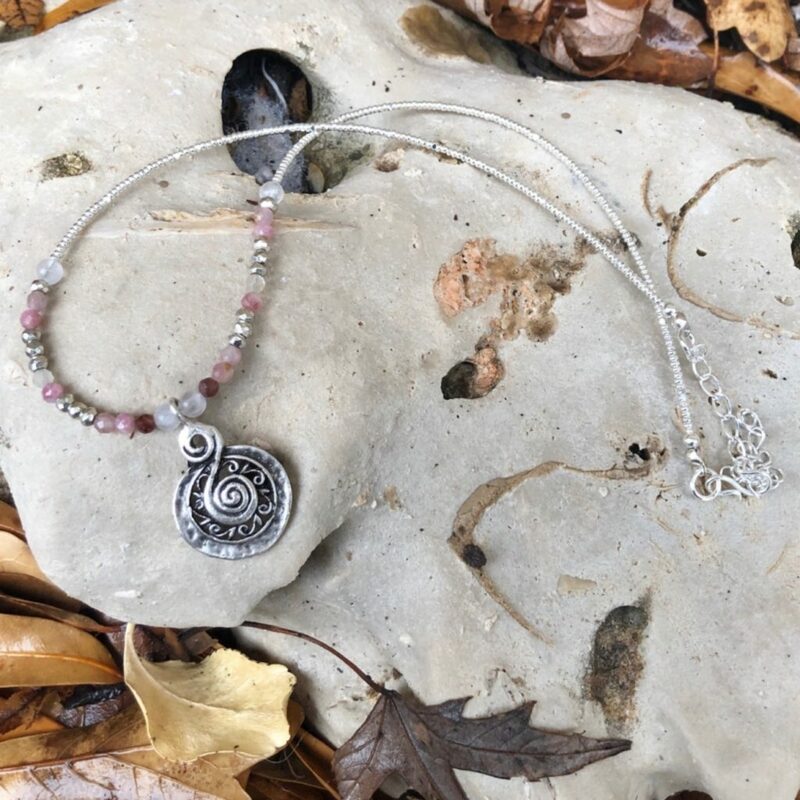 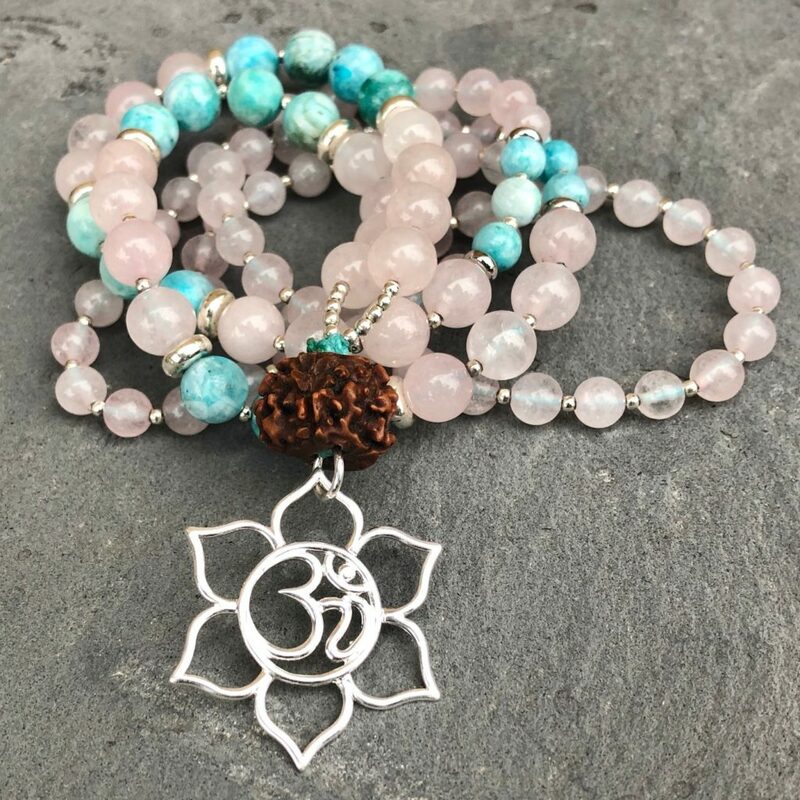 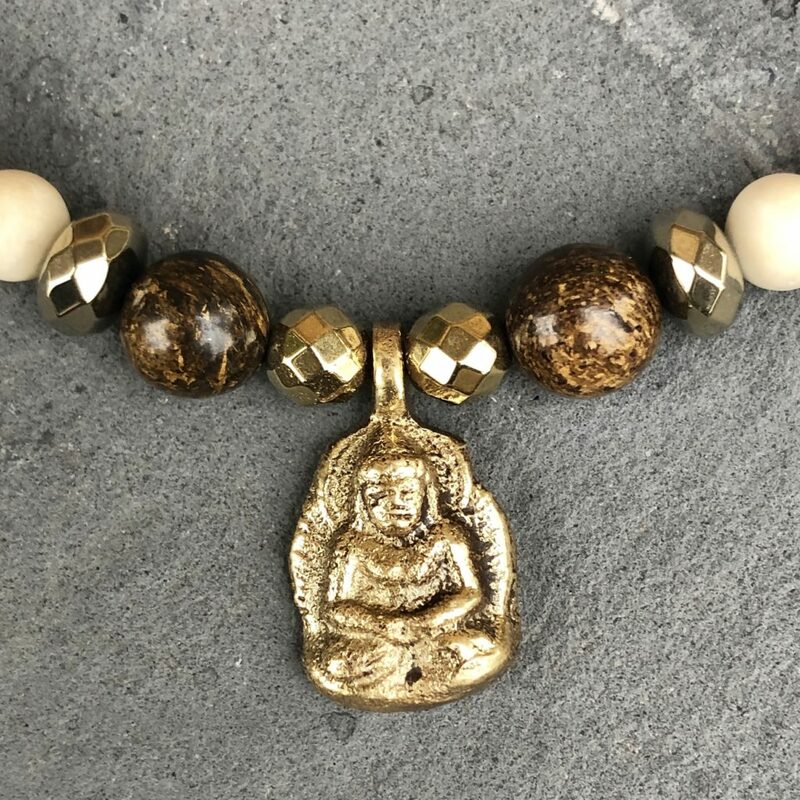 Silver plated Bronze Lotus with Ohm Center pendant on a 108-bead mala; 6mm & 8mm Hemimorphite and Rose Quartz beads with silver seed beads, silver plated brass spacers and Rudraksha guru bead. 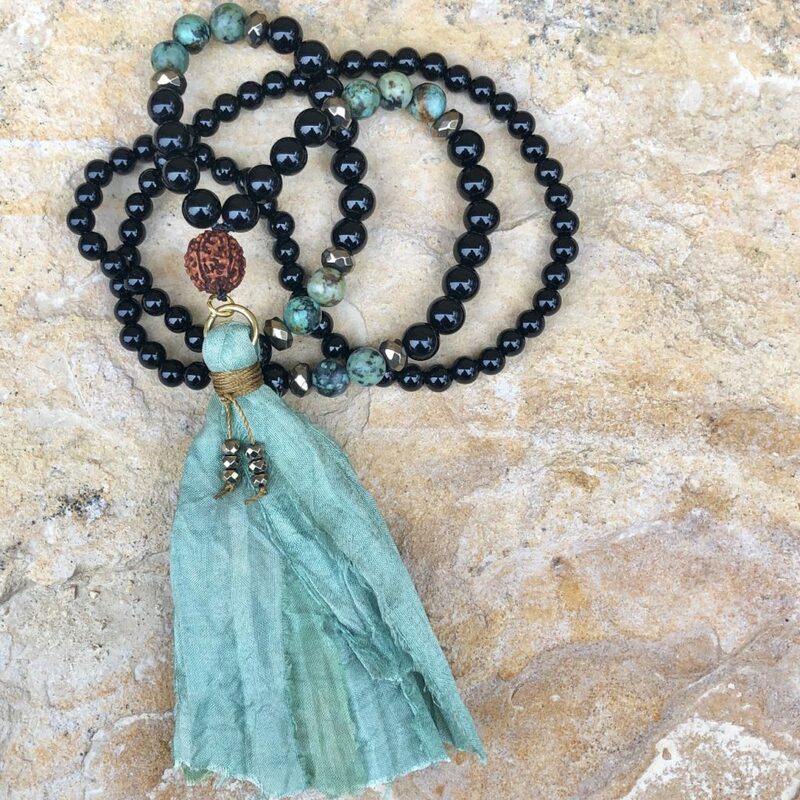 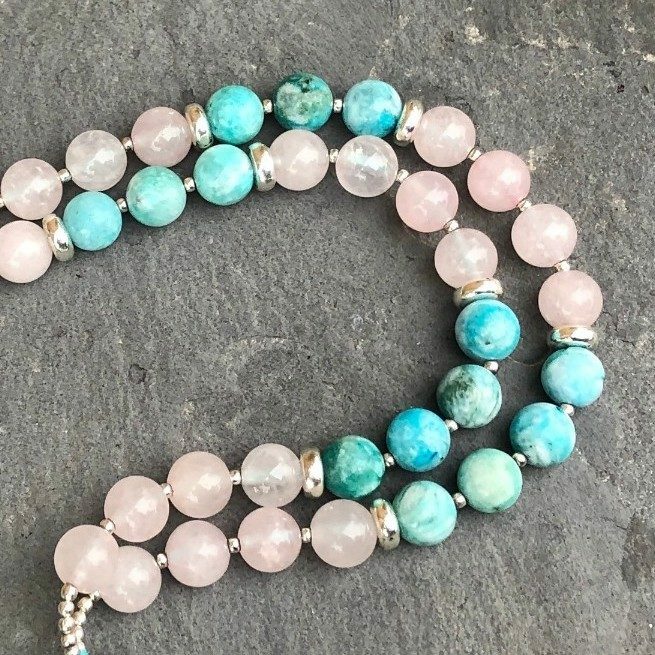 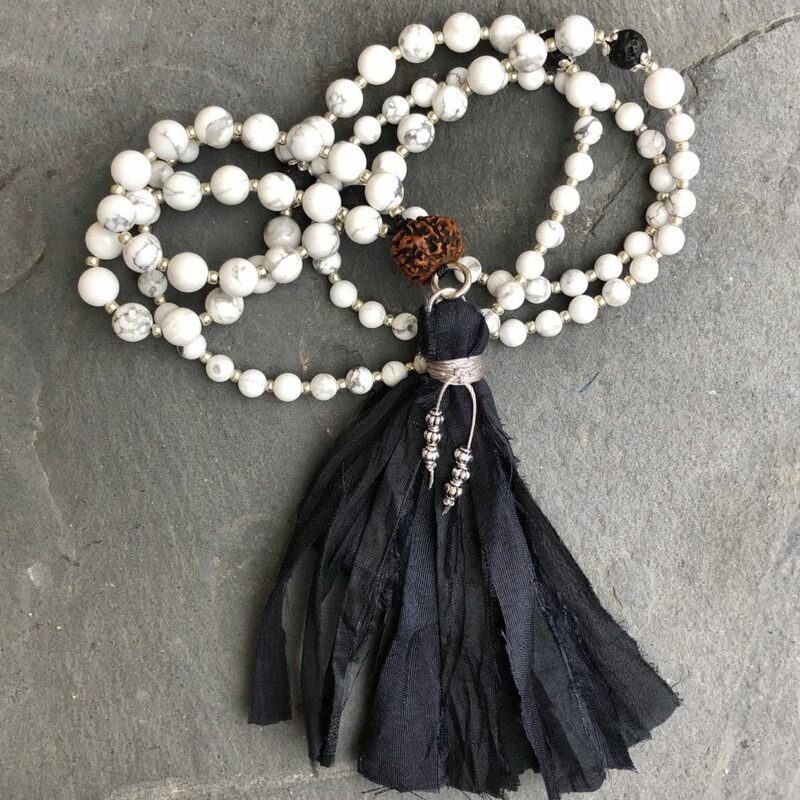 This mala is made with strong nylon cord and hangs approximately 19 1/2 inches in length. 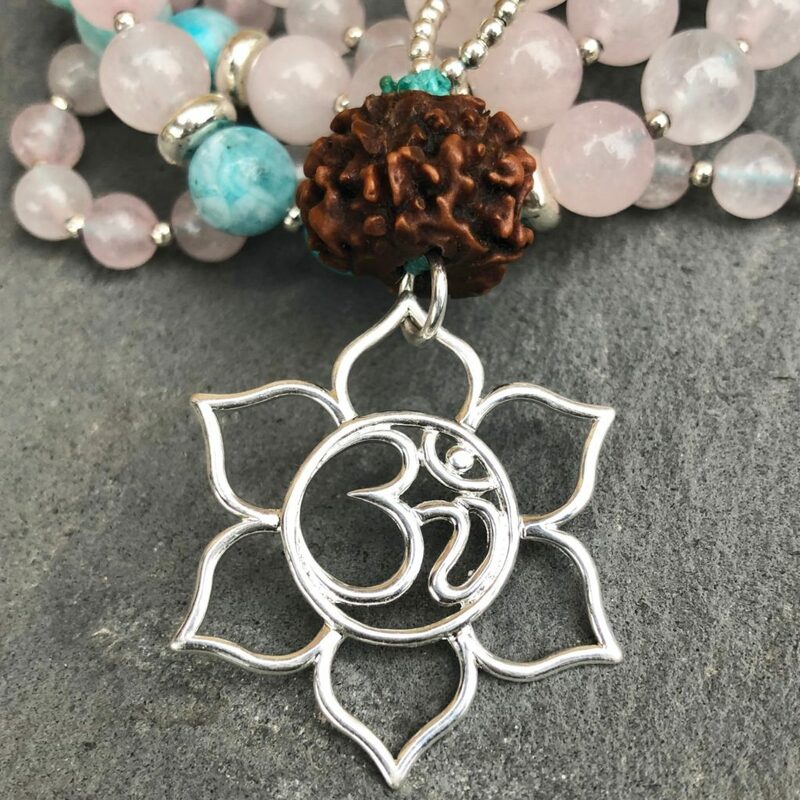 Ohm: Ohm is a holy meditation symbol of Hinduism and Buddhism. 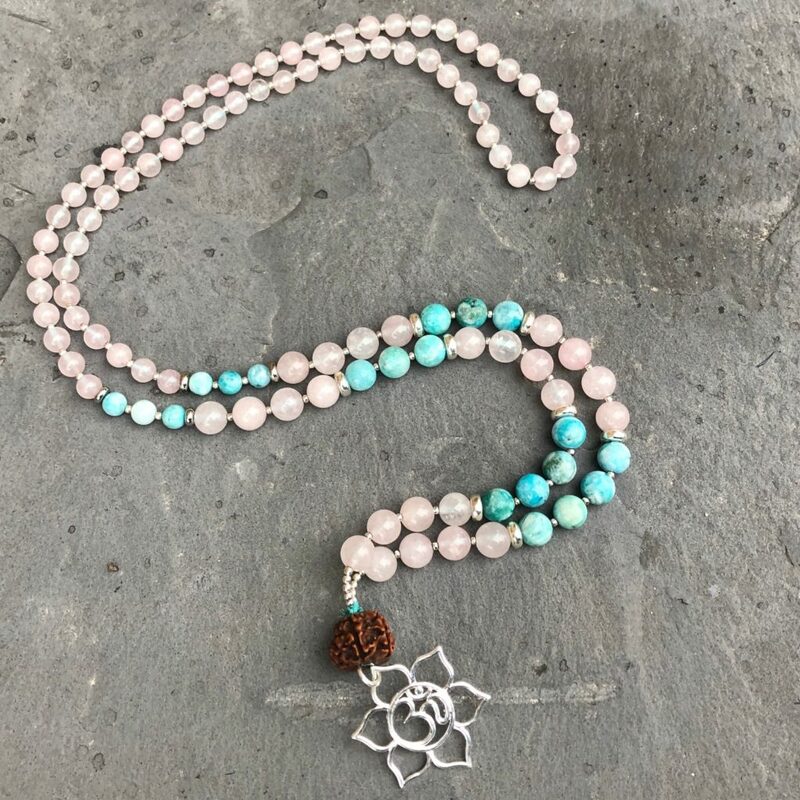 It is frequently used during mantra meditations and signifies the essence of the universe, the eternal divine.